Redlightcenter events: Metallica @ Guilty Pleasures Sunday October 18th!! This is gonna rock!! 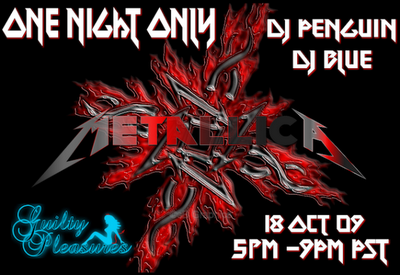 Metallica @ Guilty Pleasures Sunday October 18th!! This is gonna rock! !